More than just another beauty product. HBL encompasses Mind, Body and Senses to create a completely new experience of Health, Beauty, and Life. …in their products that make them special and unique. HBL formulations are free of most of the questionable, potentially unhealthy ingredients found in most Beauty Products, without sacrificing any of the performance that so many “healthy” products tend to give up. In fact, hbl Products, while being much healthier and higher in quality, out performs just about every product in the market today! 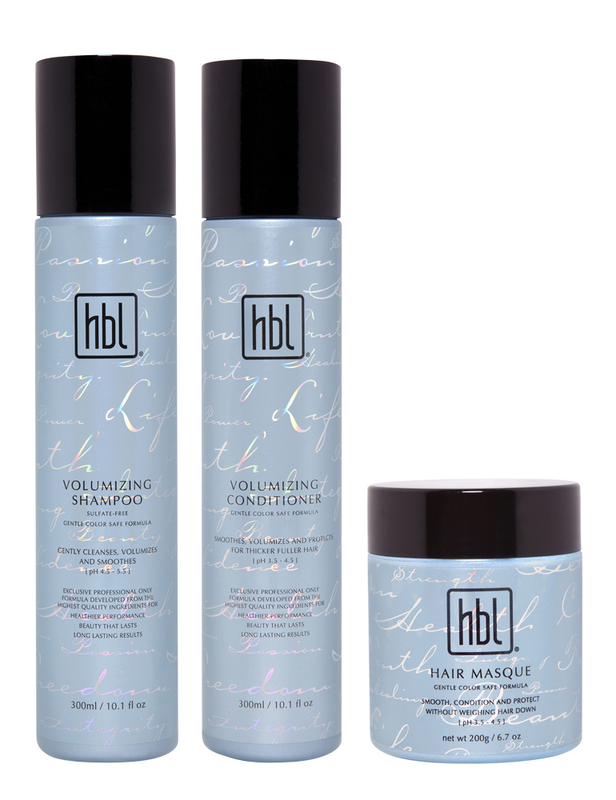 Perk up limp, lifeless locks with the HBL Volumizing System. Volumizing Shampoo and Conditioner gently cleanse while providing lightweight conditioning while Hair Masque delivers a moisture boost without weighing down the hair. I am a huge fan of hbl and their products! I love that they DON'T have the icky harmful ingredients but their products DO work! I use the volumizing system every day and I noticed the difference in my hair volume right away! This was great after I had my daughter and my hair was really thinning! Win It: HBL is generously offering (1) Volumizing System to a lucky winner!